Can I give a Qualified Charitable Distribution (QCD) from my IRA? If you are at least age 70 ½ and have an IRA, there is a special section in the tax code just for you. A Qualified Charitable Distribution, or QCD, allows anyone aged 70½ or older on the date of the contribution to donate up to $100,000 annually to a qualified charity from their IRA without counting the amount as taxable income. Since this $100,000 limit is per taxpayer, a married couple could each give $100,000 from their respective retirement accounts. While this provision has been in the tax code since 2009, it has become much more significant due to the 2017 tax changes. The QCD can satisfy all or part of any Required Minimum Distribution (RMD). Funds will need to be transferred directly from your IRA to MVI for it to count as a tax-free transfer. Your IRA administrator can send a check directly to MVI from your account. MVI will send you an acknowledgment of the gift for your records. IRA Charitable Rollover gifts are not tax-deductible donations. Please contact us at info@mvi.org or call us at 407-859-7322 if you have made a gift, so we can be sure we have your correct contact information and the funds are designated correctly. All gifts to Missionary Ventures International, Inc. (MVI) for Where Most Needed Fund (our general fund), Missionary Support, Ministry Projects, and Short-Term Mission Trips are tax-deductible. As required by the IRS, gifts are under the full discretion and control of MVI. Checks should be made payable to Missionary Ventures International, Inc. (MVI) and mailed to PO Box 593550, Orlando, FL 32859-3550. If mailing by UPS/FEDEX, our street address is 5144 S Orange Ave, Orlando, FL 32809 (407) 859-7322. Please include a note stating your preference for the donation. Can I give directly to the MVI general fund? Donations to our general funds – Where Most Needed – are greatly appreciated and help us with many needs including our general operating expenses. How do I make a gift “in memory of” or “in honor of” someone? Any donation can be made in honor of or to remember a friend or loved one. Simply enclose a note indicating your intent. At your request, MVI will also send a letter to the person or family you are recognizing with the names of those who contributed. Please provide the name and address of the person who is to receive the letter. If you wish to make the contribution online, you can include this information in the “Comments” section. How do I give to someone participating on a team trip? You can preference a particular team member with a check made out to MVI or by credit/debit card. Please include the team member’s name. You can also give to the general support of the team trip. A processing fee of 3% is added for credit/debit card donations for team trips. You can email MVI at info@mvi.org updating your information or give us a call at 407-859-7322. Can I receive my receipts electronically? Yes, please email us at info@mvi.org requesting e-receipts or give us a call at 407-859-7322. We will physically mail a year-end receipt to you in January summarizing all donations given during the previous year, so please let us know if your address changes. How do I give a donation to a specific missionary? Donations can be preferenced for a specific missionary’s support. Simply write “Preferenced for Missionary’s Name” on a note. You can also give online by credit/debit card. A fee of 3% is deducted from donations given by credit/debit card which covers the processing fees. What percentage of my gift goes to the missionary? MVI retains 5% of donations given for missionary support for administrative expenses. MVI then covers the costs of processing donations, sending donor receipts, and maintaining compliance with legal and governmental regulations and requirements. Missionaries then receive 95% of the donations given for their ministry. There is an additional 3% deducted on donations given by credit/debit card which covers the processing fees. What percentage of my gift goes to the project? MVI retains 15% of donations given for projects for administrative expenses. MVI then covers the costs of processing donations, accurate accounting of funds, reporting systems and accountability per project. The project then receives 85% of the donations given. There is an additional 3% deducted on donations given by credit/debit card which covers the processing fees. When do missionaries receive support for their ministry with MVI? Missionaries receive their support by the 7th of the month for all funds received during the previous month. What financial accountability does MVI have? MVI has been a member since 2004 of the Evangelical Council for Financial Accountability (ECFA), an accreditation agency dedicated to helping Christian ministries earn the public’s trust through adherence to seven Standards of Responsible Stewardship. Founded in 1979, ECFA provides accreditation to leading Christian nonprofit organizations that faithfully demonstrate compliance with established standards for financial accountability, transparency, fundraising, and board governance. 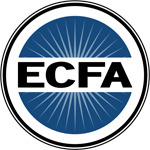 The Christ-centered ministries accredited by ECFA include churches, denominations, educational institutions, and many other types of tax-exempt 501(c)(3) organizations. In addition, each year, an independent audit is performed by a nationally recognized CPA firm exclusively serving nonprofit organizations. Why isn’t MVI rated by Charity Navigators? MVI is exempt from filing Form 990 with the IRS. Charity Navigators uses the information from this filing to rate organizations, and they do not rate exempt organizations. MVI is accredited by ECFA, and you can go to their website ecfa.org, to see financial information about MVI. How can I make a credit card donation? Credit card donations can be made online at www.mvi.org/give/. MVI’s credit/debit card processing service charges 3% to process charges. We then deduct 3% from credit/debit card donations. How do I change my credit card number and expiration date? You can call the office and update your card information at 407-859-7322. If we have contacted you that your card is no longer valid, you can go on-line at www.mvi.org and restart the donation with current information. How can I set up a monthly recurring donation from my bank account or credit card? To set up a monthly donation by debit/credit card you can go online at www.mvi.org to start the donation. Click the box “Make this a monthly donation.” By choosing monthly, the donation will continue on that date until you cancel. To set up a monthly recurring donation from your bank account, please call us at 407-859-7322 or download and fill out this form and mail to MVI, PO Box 593550, Orlando, FL 32859-3550. How can I change my monthly recurring donation? Donations can be changed at any time by calling 407-859-7322 or by emailing info@mvi.org. Can I choose the date of my monthly donations? If the monthly donation is from your bank account, you can choose from the following dates: 1st, 5th, 10th, 15th, 20th, 25th, or the last day of the month. By credit/debit card, if you have a certain day of the month you prefer for your donation to occur, please start your donation on that date by going online at www.mvi.org. By choosing monthly, the donation will continue on that date until you cancel. Monthly debit/credit card donations are processed every day of the month. Can I give non-cash donations such as stocks, mutual funds, etc.? For stock and mutual fund donations, shares are transferred by your broker into MVI’s account. The shares are then sold, a check is issued to MVI for the value of the stock, and the funds are designated as you choose. An in-kind letter will be sent to you detailing your donation for tax purposes. Contact: Stonebridge Financial Planning Group, LLC 407.695.7100 for additional information or questions. The DTC number for National Financial Services (NFS) is 0226. Name on Account: Missionary Ventures International, Inc. This information is not given to MVI when stock is transferred, so to acknowledge the gift and designate the funds properly, we need this information from you. You can email MVI at info@mvi.org with your information or give us a call at 407-859-7322. Can I give through my trust or will? MVI is grateful for those who include the ministry in their planned giving. When preparing your will, trust, annuity or life insurance policy, we will assist in anyway your attorney, financial institution, or financial advisor needs. Please contact our accounting department at 407-859-7322. Please call us at 407-859-7322 or email to info@mvi.org. Our office hours are Monday – Thursday 8:30am – 5:00 pm and Friday 8:30am to noon EST. We are happy to assist you and answer any questions you might have.